Throughout history, racing has been a family sport, and Georgia's racing Ruark family may be the ultimate example. 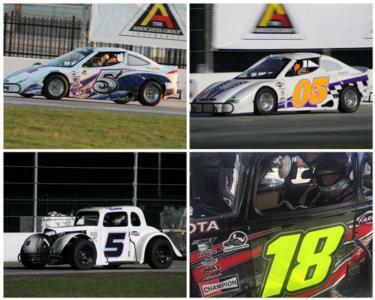 The Ruark siblings, Lucas, Carson, Audrie, and Shelby, all from Suwannee, compete in the Thursday Thunder Legends Series Presented by Papa John's Pizza at Atlanta Motor Speedway. To get to where the Ruark family is now, you need to take a look back at where they started. Greg Knight, grandfather of the Ruark children, was an old-school super late model dirt racer. He raced until 2008 when he decided it was time to retire. When oldest grandchild, Audrie turned seven, Knight decided to get the family involved in the sport he loved the most. Audrie started racing quarter-midgets in 2010. Lucas and Carson followed their sister when each turned five years old. Shelby ran one year in a quarter-midget before climbing out. The family raced together on the quarter-midget scene for about five years. In 2015, the family moved to the Atlanta area, and discovered the Legends racing series at Atlanta Motor Speedway. Audrie and Shelby immediately became Legends racers, while the boys continued racing in the quarter-midget arena. In 2017, all four Ruarks began racing together full-time for the first time in the Legends program at Atlanta Motor Speedway. 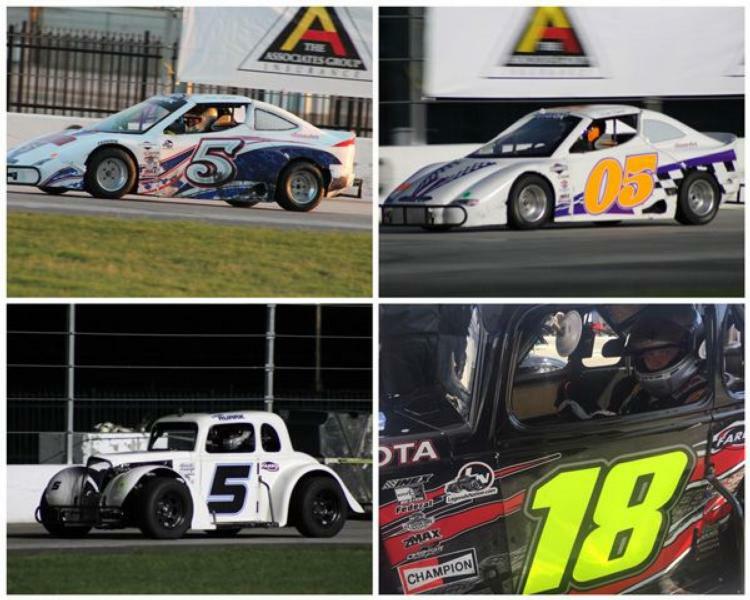 The season proved successful learning opportunity for the family, and Carson won Rookie Bandolero of the Year. This summer, the family is again racing together in the highly competitive Thursday Thunder program. Lucas and Audrie race in the Associates Group Young Lions Division. Lucas is 12 years old, while Team Champion Auto Parts driver Audrie, is 15. Lucas, nicknamed "the technical driver" by his parents, catches on quickly to new techniques, while Audrie is considered the one who stays calm under pressure. When asked about what it is like to race against one another, Lucas said, "It makes you want to win a lot more. You want to have the best finish in the family." "It's fun to race against my brother", said Audrie. "I always try to beat him." Carson, the youngest in the group at just 10 years old, and called "the confident one" by his family, races in the Bandolero Bandits Division. When asked what his goals are for the season, there was no hesitation, "I don't have too many goals, I just want to win!" Carson has done just that, twice in fact. His most recent feature win came after a tough heat race, where he came roaring back after crashing his car and braking an axle, once again showing the resiliency and perseverance of the Ruark clan. Shelby called "the aggressive driver" by her family, races in the GRT Racing Driver Development Outlaws Division. The 13 year old gave her thoughts on what it is like to race with her family. "It's really funny actually," explained Shelby. "Lucas will say to us each week, 'I'm gonna outrun all of you'. We have like a competition to see who finishes the best." According to her mother, Shelby always raced to spend time with her family and have a hobby, but she did not truly fall in love with racing until she began competing in the Legends program at AMS. Now, she cannot wait to get onto the racetrack. Kelly Ruark, the matriarch of the family spoke about how she feels about having the whole family involved in racing, "I love it! I've usually watched the boys race against each other, but now I have a son and a daughter, Lucas and Audrie, facing off each week. That is the first time they've ever raced against each other. It's really neat to watch"
She commented further about the competition between siblings, "You'll hear them when they get out of the cars "Oh I finished better than you" or "I was better than you". They taunt each other like that, which I think pushes them to be better." The family will continue to compete together and against each other throughout the remainder of the 2018 Thursday Thunder Legends Series Presented by Papa John's Pizza. Which Ruark will come out on top? Find out only at Thursday Thunder! The 2018 season continues with week five action this Thursday, June 28 for Church Night, where a church bulletin will get fans a special one dollar discount on tickets. The season's racing action continues each Thursday night through July 26, before wrapping up with a special-edition Saturday Championship Night on Aug. 4.